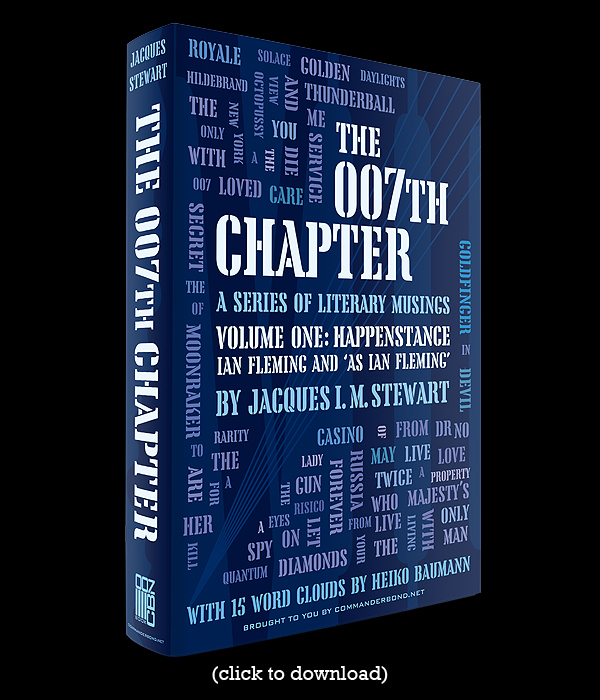 To commemorate the 100th anniversary of Ian Fleming’s 007th birthday, CommanderBond.net today releases the ebook edition of “The 007th Chapter, Volume One: Happenstance”, a series of literary musings by Jacques I. M. Stewart, aka “Jim”. 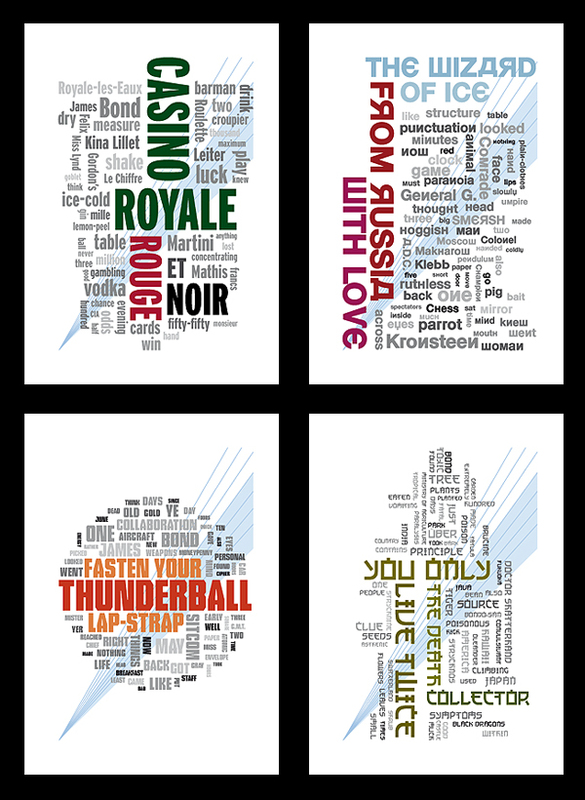 Volume One concentrates on the James Bond novels and short stories written by or “as” Ian Fleming. Our frequent visitors or forum members may know that these texts were published on our website between February and December 2014 – with the notable exception of the chapter on “Devil May Care” by Sebastian Faulks writing “as Ian Fleming”, which is released here for the first time. All text have been revised and adapted for the ebook format. The book contains 15 brand new word cloud illustrations by Heiko Baumann, aka “stromberg”, who also did the typesetting and design of the book. 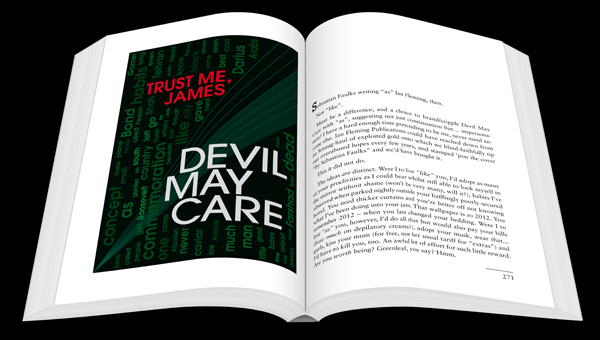 If you download this ebook and want to have it printed and bound as a “real” book, click here to download a dust jacket to go with it. This ebook is not for sale and only available as a free service brought to you by CommanderBond.net. If you want to give something back in return please do consider to donate to UNICEF (link to their general donation site here, choose your location and continue) or any other cause of your personal choice.